Leadscampus.com – Grow Your Business with Unlimited Sales Leads. Gain access to unlimited sales leads in a fixed monthly price. Increase your sales and grow your business by closing more deals. Unlimited sales leads are now truly possible. 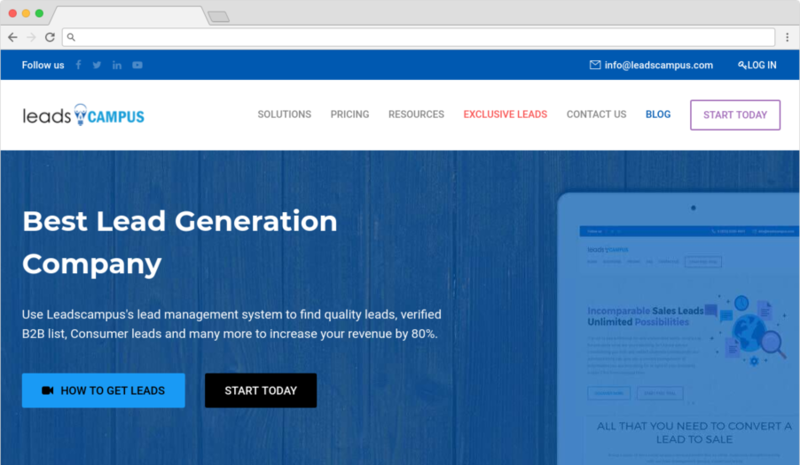 Leadscampus giving you access to more than 220 million consumer leads (2018 verified) and more than 20 million business leads (2018 verified) in a fixed monthly rate. 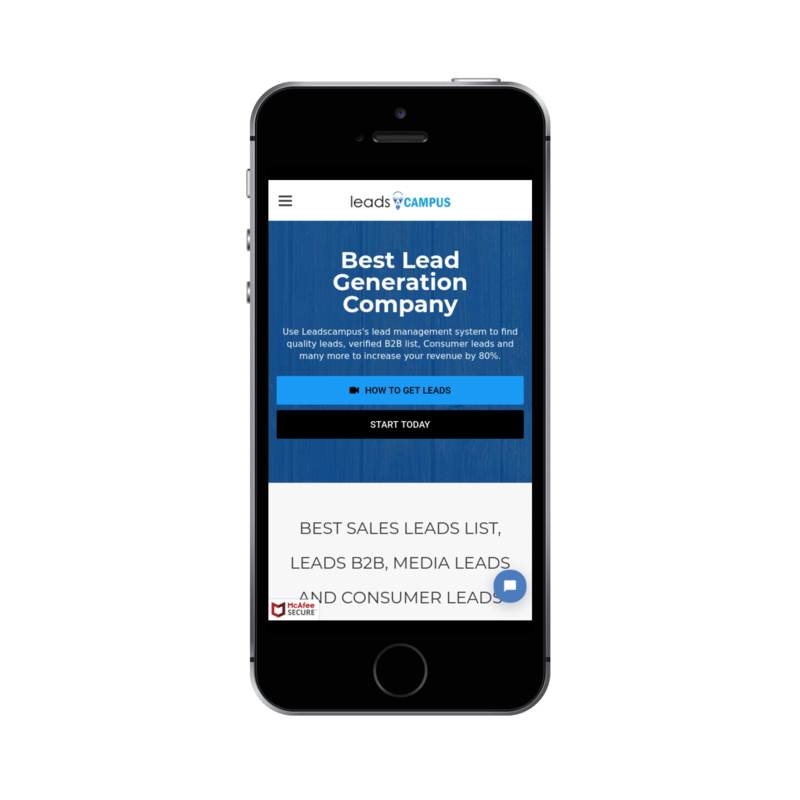 Now, you can get access to unlimited Sales leads, 2018 verified consumer and business leads directly from our leads portal. You can target leads with the help of hundreds of filters (i.e. - location, age, demographic filters, industry etc) available in Leadscampus's Portal.